Governments are joining us to take the lead on the global plastic pollution problem. We partner with local and state governments to innovate new programs and policies to meet their waste and litter prevention goals, reducing pollution in local waterways and the ocean. We couldn't be successful without a movement of ReThink Disposable champions and leaders to bring about change in their communities. Here's how you can take ACTION now and be the change you want to see in the world! Increase operational efficiency, improve customer satisfaction, reduce waste, and save money. Join us! Take Action! 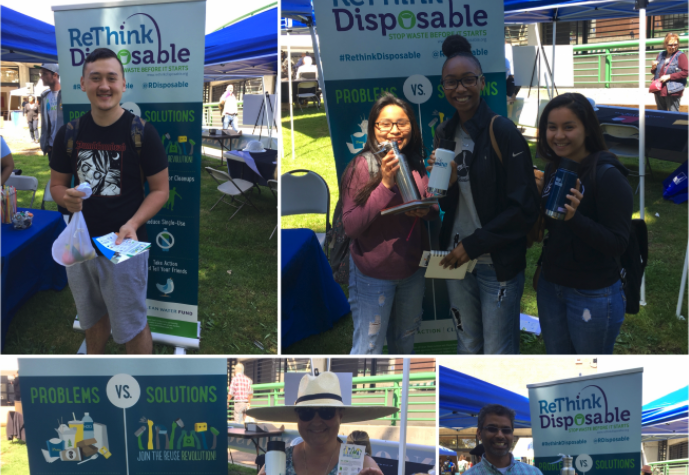 Refuse single use disposables, choose to reuse in your day-to-day lives, support local policies, and inspire others too. Rick Junker, the owner, has replaced disposable plastic water and paper soda cups with reusable cups, replaced two sizes of paper trays with baskets, installed signage, and implemented the new practices into staff education and training. ReThink Disposable reimbursed Kirk’s Steakburgers $220.84 for the purchase of 312 food baskets and 72 cups. The results of Kirk’s Steakburgers ReThink Disposable certification are: $3,981 in annual ongoing savings; 2,477 pounds of annual trash prevented, and 83,036 disposable items reduced annually. Jena, the co-owner of Sacred Wheel, had switched to compostable disposable packaging, because she thought this was the best thing to do for the environment. 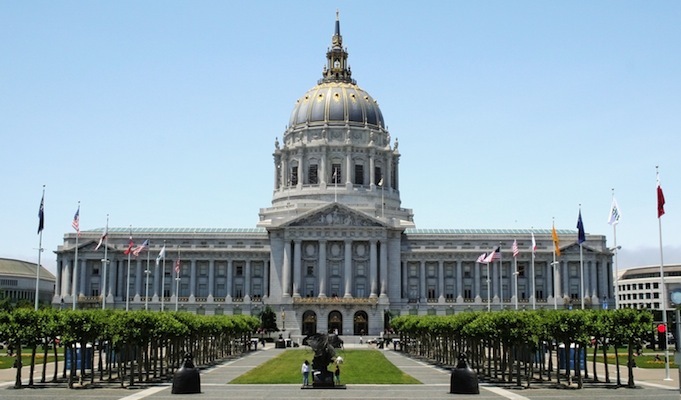 However, she found out that the compostable plastics Sacred Wheel was using to serve food and beverages couldn’t be composted in Oakland and were instead being sent to the landfill. Jena reconsidered and realized that real dishes were the best option for Sacred Wheel. Jena reconsidered and realized that real dishes were the best option for Sacred Wheel. Make the switch from disposable to reusable food service ware! This Guide has tons of options to help you find a reusable product that fits your business's style and budget. Not only will you reduce significant cost and waste, but your customers will love it. Make the change and see how much better the pictures of your food will look on Yelp, Instagram, and Facebook! A small change soon adds up. Want to know how the switch can impact your bottom line? Use our ReThink Disposable projection calculator to see how much you can save by swapping out disposable packaging for reusables. Single-use disposable items so commonplace in our take-out food and beverage culture consumes too many resources, creates a massive amount of waste and litter that pollute our waterways, Bays, and ocean. Rather than recycle products we've only used for a few minutes, we're encouraging everyone to prevent pollution by not using the disposable packaging in the first place. Preventing pollution is always preferable (and cheaper) to cleaning it up! The best way to champion our movement is by supporting ReThink Disposable businesses who eliminate and reduce disposable packaging. Driving consumer demand to support cleaner and greener businesses recognizes their hard work and helps push other businesses in the community to join the movement. Find out where to Instagram your next delicious meal, here. 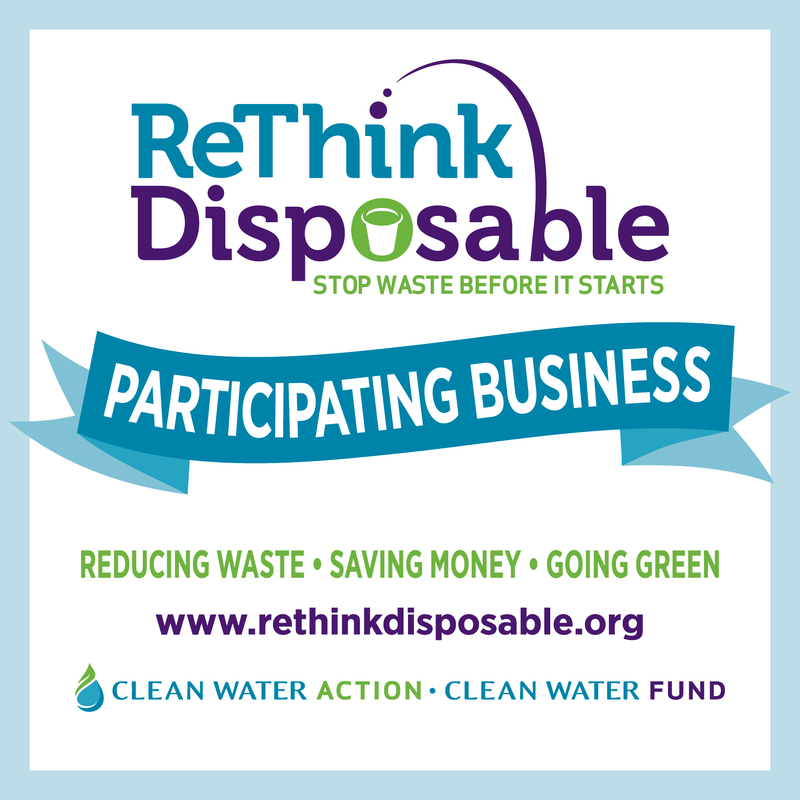 Engage and take action on upcoming ReThink Disposable initiatives, events and workshops in your community. Want to get more involved? 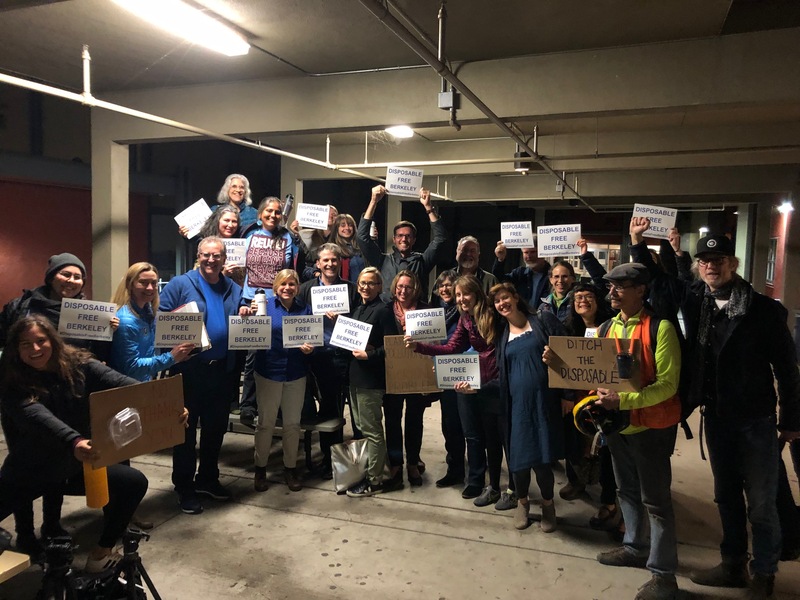 Email your city government and state legislator, join a local committee, take the source reduction pledge and support local policies that prevent waste, plastic pollution and ocean litter. Want a bag monster to come to your classroom or next community event? 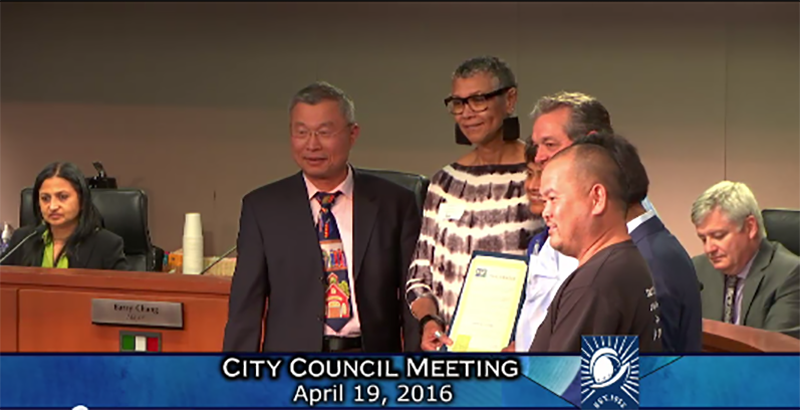 Need educational materials and handouts for your creek and beach cleanups? We're here to help with everything you could need to educate and engage the public on the impact of packaging on our environment and health and the solution, ReThink Disposable! Stay tuned for the latest news, research, and resources from around the world about plastic pollution, waste, and ocean litter.